Want to support us? Please consider sharing our walkthrough or buying us a coffee. Special thanks to dianaers, Game Miscellanea, Clementina Sabillon & Blake for help with the walkthrough. Special thanks to Blake and Clementina Sabillon for the CGs. Pinch his hand as hard as I can. Tell him what I think of the ship. 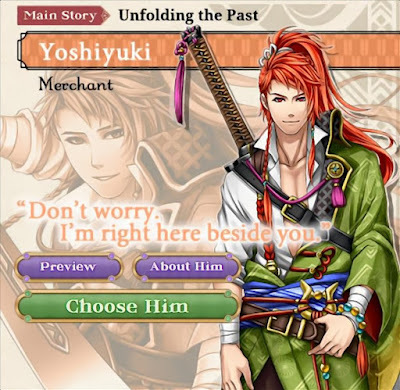 "You should leave without me, Yoshiyuki." Ignore what others might think, and look at them. Continue exaggerating in an attempt to scare him. "Won't I cause you trouble?" Tell him I'm happy to see him, too. "I can draw Sanosuke out."